Ehrlich, J. Shoshanna and Doan, Alesha. 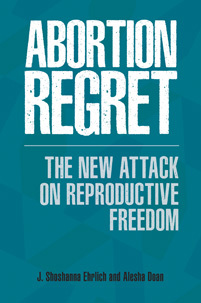 Abortion Regret: The New Attack on Reproductive Freedom. Praeger, 2019. ABC-CLIO, publisher.abc-clio.com/9781440839856. An indispensable resource for students, scholars, and activists concerned about current attacks on abortion rights, this book offers an unmatched account of the emergence, consolidation, and consequences of the antiabortion movement's paternalistic abortion regret narrative.